Who Can Sew A Zippered Pouch? – You! – It's a T-Sweets day! Who Can Sew A Zippered Pouch? – You! Published on June 14, 2018 June 15, 2018 by Tracy @ It's a T-Sweets Day! Are you ready to join me? Here we go! Sew 4.5″and 2.75″ rectangles together. Trim side edges to the same width as your zipper. Trim length of zipper to 9″ making sure to trim from both ends so your zipper is centered. Repeat the last five steps for the back pieces of the pouch. It’s looking good! Do you see how your tab pieces are sewn in nicely between the zipper and your pouch pieces? Great job:)! OPEN THE ZIPPER. This is important. If you don’t, you won’t be able to turn your pouch right side out after the next step. Pull right sides of pouch front together and right sides of lining pieces together. You may want to use pins here to hold on place. 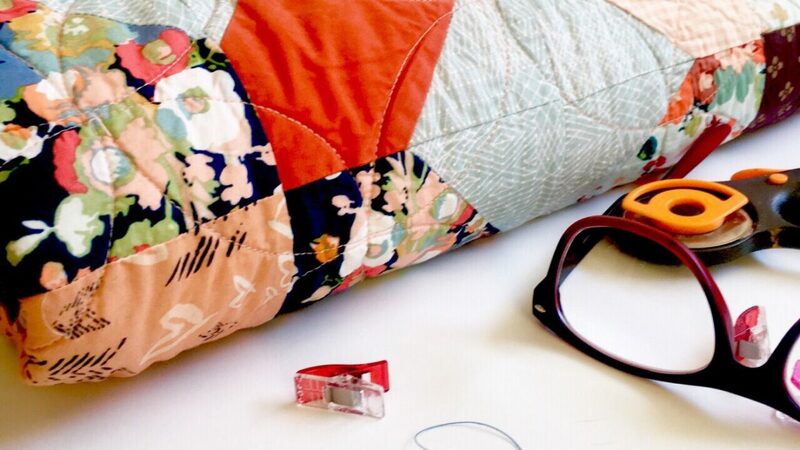 Starting at the center of the lining pieces, back stitch and sew around your pouch. Reaching inside of the hole you created in the bottom of the lining, pull your pouch inside out. With your finger or a pointed object, push all of the corners out to crisp points. Push the lining inside of your pouch. Go ahead and zip it up and admire your perfect zipper stops. SWEET! Isn’t your pouch so pretty?! You deserve a big HOORAY!! Good for you:)!! I think I am going to make up a few more of these and put them in my car to organize the clutter in my arm rest. Next Fantastic Bake Along – Maple Nut Scones! thanks for that Tracey! I always have problems with my zip ends, and your idea of little fabric tabs on each end looks like the perfect solution. Going to share on Facebook today. Great directions! I had seen a tutorial on making a zippered pouch but it did not have a lining. Your tutorial is perfect!